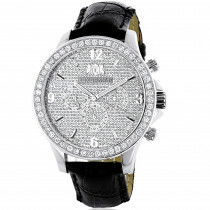 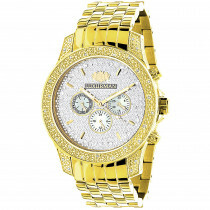 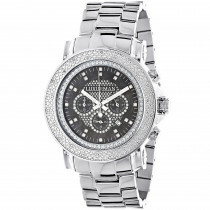 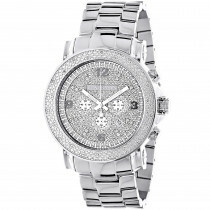 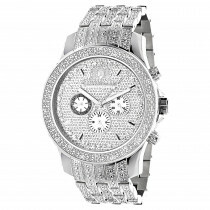 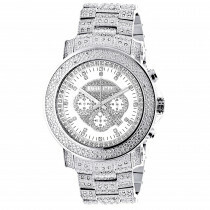 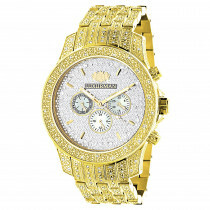 This Oversized Mens Diamond Watch White MOP Luxurman Escalade w Chronograph showcases 0.25 carats of genuine diamonds and features a white mother of pearl dial with three chronograph subdials paved in sparkling stones, a date display window, and a white leather band. 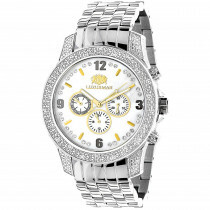 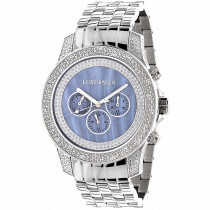 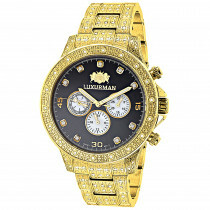 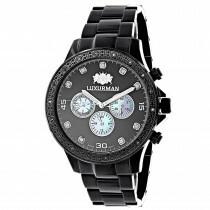 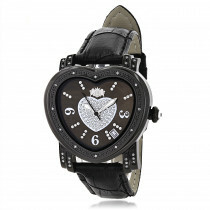 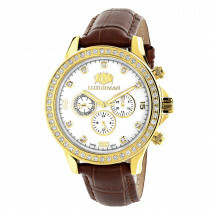 This luxurious men's diamond watch by Luxurman showcase fine Japan-made quartz movement and comes with two extra interchangeable leather straps in different colors (black and brown). 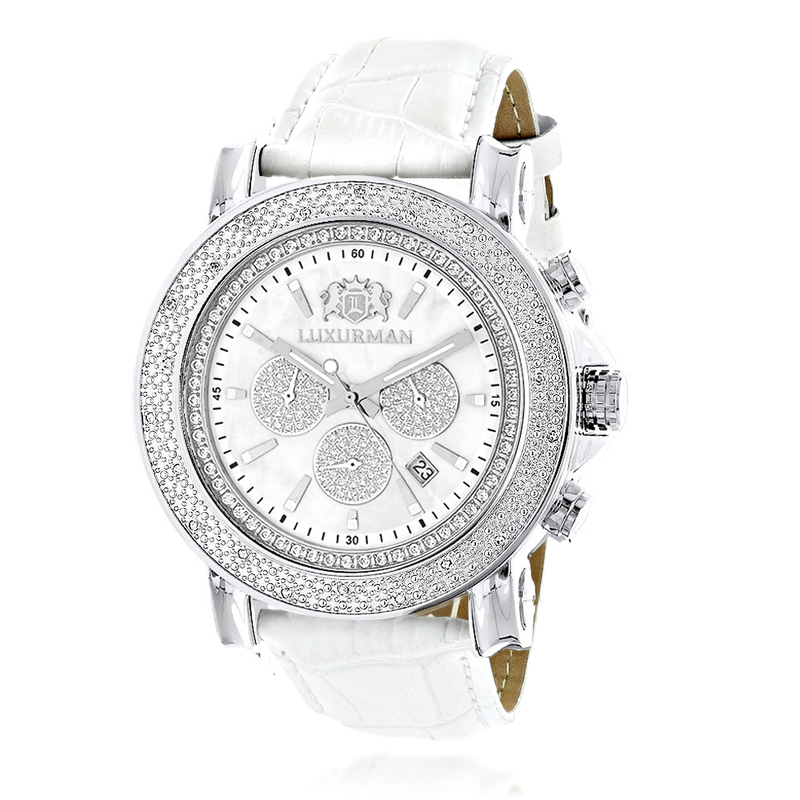 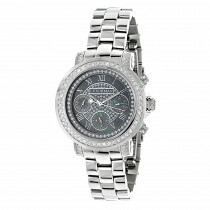 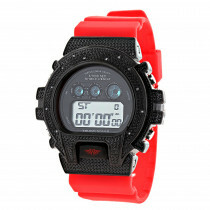 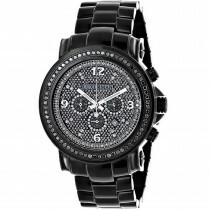 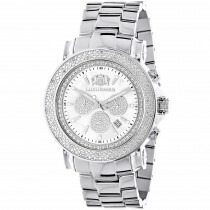 This is a brand new watch, comes in full retail packaging, with full 5 year factory warranty.